Airplane-brand-specific fly-in events can be fun and informative. If the folks at Just Aircraft are involved and if they show off their amazing SuperSTOL, a company fly-in takes on a new level of excitement. Those of you who have stopped by their airshow display to speak to the people from Just Aircraft know the Walhalla, South Carolina manufacturer is composed of a bunch of individuals that seem so laid back, you could wonder how they get so much work done. They do, by the way, having produced and delivered more than 500 aircraft kits. Since 2012 — when they introduced their at-the-time-unnamed SuperSTOL to slacked-jawed response from crowds — Just Aircraft reported kit sales have more than doubled requiring the company to add a second shift to keep up with demand. How many other companies do you know with that need? All seriousness aside for a weekend, though, those Just Aircraft'ers know how to have a good time, too. You might want to mark your calendar. 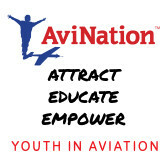 Yes, right now in the early days of July, aviation businesses and pilots from around the country are getting ready for that big summer celebration of flight called AirVenture. All eyes will be on Oshkosh, Wisconsin for the next few weeks — the show runs Monday July 28th to Sunday August 3rd. Following the event Just Aircraft will likely be counting fresh orders once they get back home to Walhalla, but they won't have much spare time on their hands. 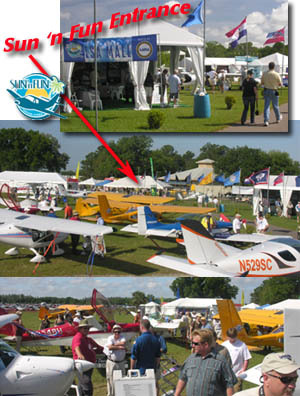 Not even one month after AirVenture ends, Just Aircraft will sponsor Just Plane Fun Days on August 29 through August 31 (Labor Day weekend) at Brass Town Airport near the town of the same name in North Carolina*. Just Plane Fun Days is open to anyone and is free of charge. 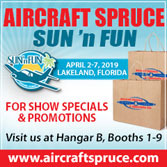 The event appeals significantly to people who own one of the Just Aircraft models but anyone who is considering their designs can attend, have a good time, and find out lots more from pilots who have built and fly the airplane plus speak to company officials. Just Aircraft officials expect that Highlanders and new SuperSTOLs will dominate the event and certainly the attention of the public. Billy Payne owns the Brass Town airport and is hosting the event. 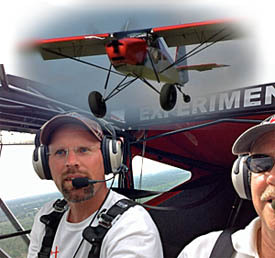 He said it will be, "a gathering of like-minded people who enjoy flying their aircraft. At any given daylight hour there will usually be a dozen aircraft in the air, giving rides or participating in one of the competitions." Those who attend can observe contests such as a short field take off, short field landing, spot landing, limbo (flying under a ribbon), balloon pop, coyote shoot (balloons) and bomb drop. These can be entertaining for any aircraft types, but when you see SuperSTOL attempt them, the game is different ... and fascinating. 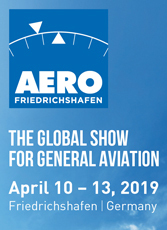 All attending Just Aircraft models will be judged in a variety of categories: Best of Show, Best Panel, Most Innovative, People's Choice, and Grand Champion. Saturday night will be the chance for a cookout at the airport and on Sunday morning pilots will take off for a tour of the local mountains. Last year organizers reported about 2,000 people visited, and even with bad weather 19 Just Aircraft flew in. This year, if blessed with good weather, Payne expects more than twice that number. Camping is available on the field and for those who prefer a motel, the group has a special rate at the local Hampton Inn. 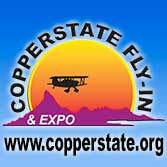 For more information phone Billy Payne at (828) 557-4833 or call Just Aircraft at (864) 718-0320. * Brass Town hosts a festival that includes a contest with local men dressed as women to compete for the title "Miss Possum Queen." Surely this refutes anyone who thinks Brass Townians aren't out to have fun. Airplane-brand-specific fly-in events can be fun and informative. If the folks at Just Aircraft are involved and if they show off their amazing SuperSTOL, a company fly-in takes on a new level of excitement. Those of you who have stopped by their airshow display to speak to the people from Just Aircraft know the Walhalla, South Carolina manufacturer is composed of a bunch of individuals that seem so laid back, you could wonder how they get so much work done. They do, by the way, having produced and delivered more than 500 aircraft kits. Since 2012 — when they introduced their at-the-time-unnamed SuperSTOL to slacked-jawed response from crowds — Just Aircraft reported kit sales have more than doubled requiring the company to add a second shift to keep up with demand. How many other companies do you know with that need? All seriousness aside for a weekend, though, those Just Aircraft’ers know how to have a good time, too. How do you take a laid-back approach to create a super exciting airplane? Schucks ... it appears easy as falling off a log. The oversimplification denies how much energy and effort went into SuperSTOL. Because the folks at JustAircraft seem to be the most relaxed designers in America, don't be fooled. Plenty of customers have seen the light that emanates from Walhalla, South Carolina. From the company's unusual factory airstrip to the jaw-dropping performance of their super-duper STOL aircraft, Just Aircraft is a company you can't — or at least shouldn't — ignore. To gain more flavor of the extreme-looking but easy-flying aircraft, Just's website has several videos that might fascinate you. "Since the company was formed in 2002, Just Aircraft was focused on developing an aircraft that would excel in back country performance," the company announced recently. "Starting with the Escapade, the company began shipping out kits. The Escapade is still supported by the factory and kits are still being shipped out, though the sales were quickly surpassed when designer Troy Woodland introduced his next design, the Highlander. The STOL performance of the Highlander accelerated recognition of the company, attracting an ever-increasing number of recreational pilots." On a roll, Troy expanded on the company's success this past year with the SuperSTOL, their leading product today. SuperSTOL, a two place, high wing, tube and fabric creation, grew the company's sales tally to more than 450 kits. "Within a year, we shipped out 25 kits of the new SuperSTOL and over half are now flying," reported Just Aircraft. The short time between delivery and flight is testimony to the speed with which the kits can be transformed into an airworthy aircraft. Based on my own experience flying with Troy, SuperSTOL can easily and repeatably live up to its name with impressively short takeoffs and landings. With practice, each can be achieved in a mere 50 feet, thanks to the double leading edge slats, long-stroke main gear suspension, and tundra tires ... plus good pilot technique. 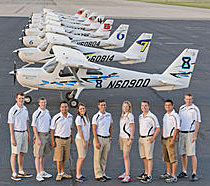 The company's aircraft have also be configured for floats and skis. Building a worldwide following, Just Aircraft has shipped kits to remote areas in China, Russia, Greenland, Australia, New Zealand, Ecuador and Lithuania. Among gung-ho outback pilots, Just's consumers include three women and a 78-year-old gentleman. How do you take a laid-back approach to create a super exciting airplane? Schucks … it appears easy as falling off a log. The oversimplification denies how much energy and effort went into SuperSTOL. Because the folks at JustAircraft seem to be the most relaxed designers in America, don’t be fooled. Plenty of customers have seen the light that emanates from Walhalla, South Carolina. From the company’s unusual factory airstrip to the jaw-dropping performance of their super-duper STOL aircraft, Just Aircraft is a company you can’t — or at least shouldn’t — ignore. To gain more flavor of the extreme-looking but easy-flying aircraft, Just’s website has several videos that might fascinate you. 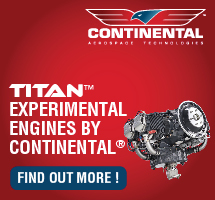 “Since the company was formed in 2002, Just Aircraft was focused on developing an aircraft that would excel in back country performance,” the company announced recently. “Starting with the Escapade, the company began shipping out kits. Just Aircraft's Highlander series has sold 300 kits. 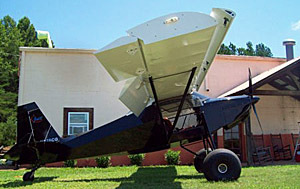 The SuperSTOL landing gear and slatted wing is retrofittable to earlier models. By all accounts — and none to the contrary (that I personally heard) — the "new and improved" Paradise City was an out-of-the-ballpark home run hit. On the final day of Sun 'n Fun 2013, John "Lites" Leenhouts gave his closing review. He noted attendance was up somewhat on Tuesday through Thursday and down a bit on other days, but he highlighted the great success that was Paradise City, the new permanent home of the LSA Mall. The area was chock full of exhibitors, up almost double from last year. Flying went on all day long as predicted, even during the main airshow. Twice I flew in on aircraft I was evaluating while watching aerobatic aircraft twist and turn over the main runway. I know of no accidents or incidents so major kudos to the 186-person-strong volunteer staff under area chairman Dave Piper's direction. They dealt with many new changes and nearly every detail appeared to go as planned. Many aircraft provided dozens of demo flights for prospective customers and other interested parties. In his closing remarks, Lites noted more than 600 operations (a takeoff or landing) from the Paradise City runway on the day prior; it must have run into several thousand for the week. An exotic mix of airplanes was smoothly handled with rotorcraft (both gyros and light helicopters), fixed wing, trikes, and motorgliders flying at the same time, without any apparent conflicts. Powered parachutes, paragliders, genuine Part 103 ultralights, and electric powered aircraft primarily flew during the morning and evening when winds were less active. 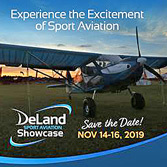 Read an independent report in the Lakeland Ledger newspaper by journalist Jeremy Maready Among the most active aircraft was the Highlander SuperSTOL from Just Aircraft. Company leader Troy Woodland kept his distinctive aircraft flying nearly all day every day and he wowed the crowd with the aircraft's extraordinary takeoffs and landings. Hitching a ride was challenging as media reporters and prospective customers clamored for an experience aboard the unusual machine. I finally got my opportunity toward the end of the week and you'll be able to go along as we strapped video cameras all over the aircraft ... two in the cockpit, one on the wing strut, and a unique view from the tailwheel looking forward. Troy and I flew (yes, while the main airshow was smoking up the sky over Sun 'n Fun's main runway) and we did seven landings, mostly at nearby South Lakeland Airpark. The aircraft leaps off the ground as its automatically deploying two-section slats move forward at liftoff angle of attack. What is truly amazing is the landings. My senses seemed to be lying to me as we approached so steeply and slowly, the sensation felt closer to that of a helicopter. As we approached the long turf runway at South Lakeland, Troy established a high rate of descent with the stick fully aft — as far back as it could go, where it remained through touchdown. I felt I could walk as fast as we were moving across the ground just before the tailwheel first touched terra firma (it isn't truly walking speed, but it is very slow, perhaps no more than 25-30 mph). The large tires and the 20-inch stroke oleo strut handled every landing without the slightest rebound. A tailwheel with its own shock absorber helps (wait until you can see all this on the video!). Meanwhile, SuperSTOL behaves cooperatively with great roll authority down to 30 mph. It showed no tendency to drop a wing; clearly the articulating slats and huge elephant ear Fowler flaps make the short chord work exceptionally hard. On each takeoff Troy pushed on full power from the 100-hp Rotax 912 and moved the joystick to the instrument panel. The tail came up very quickly thanks to large tail surfaces. At level attitude, he relaxed the joystick and pulled on a bit more than one notch of flaps (while holding in the detent button). This causes the retracted slats to move forward and off we went. After accelerating on climbout the slats retract and we cruised around the pattern at about 90 mph. Smaller tires can be fitted without losing the fantastic shock absorbing effect and you can then see about a 100 mph cruise, Troy indicated. Here's perhaps the best part of all: While SuperSTOL looks gnarly and extreme sitting on the ground, it is a complete pussycat in the air, willingly doing the pilot's bidding and exhibiting uniformly gentle flight characteristics. A hearty congratulations to Troy and his team including partner Gary Schmitt. PEACHEY'S PANEL - Owner Sam Peachey loaded his large Highlander panel with a combination of digital and analog gauges so he can closely monitor his airplane's performance. SKYLIGHT - The Highlander offers wide upward visibility through an immense combination of clear turtle deck and overhead skylight. UNDERCAMBER - Like a Kitfox or Avid aircraft and other models resembling the Highlander, an undercambered wing is part of the design that gives great slow-speed performance. DUAL CONTROLS - The Highlander can be flown from either seat with full controls installed on each side, and shared trim and flaps between the occupants. BIG PROP - With a 100-hp Rotax 912S and a large-diameter 3-blade prop, the Highlander launches quickly, climbs fast, and cruises at a very respectable 105 mph. TOUGH GEAR - Billed as a "bushplane," the Highlander adds very robust gear plus large tires and wheels to the company's earlier Escapade design. CAMPER PLANE? - The seats fold well forward, making it possible to "overnight" in this large cargo area. EASILY CONTROLLED - The Highlander's long flap lever easily deploys the large discreet flaps (no flaperons). Conversely, the short trim lever is fast acting. LOW FLAPS - Combined with good slipping ability, the Highlander's large flaps help get the model into small fields. It can land in 250 feet or less. SQUARED OFF - Just Aircraft uses squared-off corners throughout the tailplane, which some say eases the effort of covering smoothly. If you're familiar with Avid Flyer or Kitfox aircraft, you know at least something about Just Aircraft's Highlander. Its pedigree "path" is somewhat meandering but leads to an excellent flying machine born of a rich American airplane design heritage. Dean Wilson was the originator of this now-proven design shape. The first departure from Wilson's Avid Aircraft company was Dan Denney, who went on to offer the Kitfox. Denney's prowess as a marketer brought international fame to the Kitfox and, over the years, the sale of nearly 3,000 aircraft. At one time Denney Aerocraft was among the country's largest suppliers of kit-built aircraft. What had been an ultralight design evolved into a successful 2-seat homebuilt, but that wasn't the end of the evolution behind Wilson's original creation. Denney sold his company to Phil Reid, who renamed the Idaho company SkyStar. A Well-Evolved History Another break-off from Avid Aircraft and Denney Aerocraft was Flying K Enterprises, which introduced the single-seat Sky Raider. Denney Aerocraft and, for a time, SkyStar, chose not to pursue a single-seater, leaving an opening for the new Flying K Enterprises company, which was also based in Idaho. Flying K's miniaturized Kitfox had much in common with the better known 2-seater. The two were so similar that when SkyStar later offered its Kitfox Lite single-seater, Flying K built the welded fuselages for them. In a logical progression, Flying K followed with the Sky Raider II, which featured a small aft seat that could be used for an occasional ride. No flight controls were installed for the second occupant. Further splintering followed, the Idaho companies building aircraft based on Wilson's original work. Flying K led to Just Aircraft in '01, which introduced their Summit, a variation on the Sky Raider II model. The path from Flying K to Just Aircraft was somewhat rocky and had an unfortunate side. Among those Idaho kit-builders, personnel moved rather freely to other businesses. Stace and Kenny Schrader had started Flying K but they later parted company. 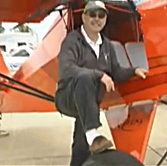 Kenny stayed with Flying K, and Stace founded Rocky Mountain Wings, which offered the Ridge Runner, another design that resembled the Kitfox. Regretfully, Kenny Schrader was killed in the crash of a Sky Raider II in the spring of '01. Shortly after this tragic loss, former Flying K employees Kathi Jo Zehr and Troy Woodland began developing a fabric-covered steel design of their own, which they named the Summit. They named their company Just Aircraft. The Summit enjoyed good sales. It led to the Escapade, which tested a configuration better regarded for flight instruction or pleasure flying with a friend; Just Aircraft remade the Escapade into a side-by-side 2-seater. While still based in Caldwell, Idaho, Just Aircraft introduced their new Highlander in the summer of '04, marketing the model as an "upgrade" to their Escapade. Shown in taildragger form where the Escapade was usually displayed in trigear form (though both models can be configured either way), Just Aircraft positioned the Highlander as a bushplane. It has an extended wing with vortex generators that increase low-speed performance, a larger elevator and rudder, heavy-duty gear, large wheels and brakes, and an 8-inch Maule tailwheel. The Highlander is also manufactured with attach points for floats, lots of cabin area, and an extra-large, 34-cubic-foot cargo area. In '05, one more change happened that moved the Idaho company quite literally across the country. Woodland found a new partner, Gary Schmitt, and a new opportunity in the Southeast. Woodland said, in the short span of a couple weeks, he went home to Idaho and told the company's Western employees, "Pack your bags and sell your houses. We're moving to South Carolina." Amazingly, about half of them took the offer and moved, giving the relocated company a continuity of knowledge and experience. Just Aircraft is now headquartered in new facilities in the small town of Walhalla, South Carolina, which is in the northwestern corner of the state. Peachy Highlander When I had the chance to fly the Highlander in the spring of '05, I didn't fly in a factory plane or with a factory pilot. Instead I flew with Sam Peachey, the aircraft's owner and builder, and a Pennsylvania customer who used Just Aircraft's Builder Assistance Program to create his Highlander. A former Amish man who rode a horse and trailer until he was 17 years old, Peachey lives in Pennsylvania on an 87-acre farm with a 1,300-foot airstrip. He flew the Highlander down to Florida from his home state. Peachey also has two daughters, both of whom learned to operate taildraggers in this Highlander. Peachey trained both his girls before handing them off to an instructor to complete their training. One of his daughters, Carol, joined him in Florida. Peachey's Highlander was nicely equipped, including an EFIS system and a Garmin 296 moving map GPS (on top of the panel). His EFIS had airspeed and altimeter information in addition to a large range of engine information. Besides these electronic instruments, Peachey precisely installed an array of "steam gauges" providing an analog backup to the digital devices. Trim and flaps controls are between the seats for easy access by either occupant. The trim control is just to the left of the flap handle. Trim proved quite responsive, especially when putting the nose down. The flap lever offers three positions with push-button detents. Flaps are discreet; they are not flaperons as has been common on Avids and Kitfoxes that preceded the Highlander. A fuel shut-off lever is positioned on the floor in front of the flap handle. The starting procedure called for both master switches to be on; they were positioned on the right side of the panel alongside switches for the strobe light, nav lights, and landing lights (seen in the photo of landing gear). Above the key start switches on the panel's left side are two more switches. An unlabeled one is for a fan to circulate cabin heating. To the right of it is a map light; we didn't need either of these switches. To stop the engine, simply retard the throttle and switch it off via the key switch, then flip off the master switch. The Highlander seats have some fore and aft adjustment to accommodate occupants of different sizes. The windows open separately from the doors, using two latches. You may have either the door open or the window open in flight. Any time you wish, you may open and close either windows or doors, a feature I appreciated. The door is held open with a gas piston, which is mounted only on the door's aft side. This is a good location as you are unlikely to bump it with your head, but I worried that the door might be negatively affected by having its only support at the rear. It turns out I had no reason to worry; the doors stayed securely in place when we opened them. While you may open the doors or windows in flight, you'll probably want to slow the Highlander down first or the wind force inside the cabin may be significant. Both the clear turtle deck and skylight let lots of light into the cabin. They also allow you to see above and ahead in turns, if sufficiently banked. A 34-cubic-foot storage area is provided behind the seats, and the factory indicated the seats could fold forward or could be laid all the way back to form a bed. Just Aircraft also reports, "The seats are also adjustable to fit pilots 5 feet tall to 6 feet, 8 inches tall." For my average 5-foot, 10-inch height, the cockpit seemed spacious and the reach to all controls was very acceptable. Bushy Bird In upgrading the Escapade to the Highlander, Just Aircraft gave the aircraft more power, wing features to help it take off and land slower, and a sturdier gear system with large tires and wheels. They also fitted hydraulic brakes that offered quite a strong slowing force. Just Aircraft says the Highlander has "6-foot, 6-inch center-to-center landing gear, and a tough bungee cord suspension system." On South Lakeland Air Park's turf runway, I didn't get the chance to test the Highlander's bushplane capability but it did provide a comfortable ride that absorbed the undulations of a sandy soil. It also offered excellent ground clearance for bush operations since the gear is extended in length. As we prepared for takeoff, we watched for the exhaust gas temperatures to come up before adding throttle; they did so quickly in Florida's April warmth. Peachey's plane was not fitted with a water temperature gauge often used for this purpose. With 100 horses pulling this light airplane (empty weight is only 600 pounds, less than most light-sport aircraft), takeoff was rapid. The factory states 300 feet when dual - and only 130 feet when solo - and my experience suggested this was truthful. Landings would later prove again the low-speed characteristics of the Highlander's vortex generator-equipped wing as we rolled out in the same runway length as had been used for takeoff. Conditions were rather variable with 15-mph winds gusting to 20 or 25 mph. We landed straight into the wind so the velocity wasn't much of a factor. Through the airborne rowdiness, the Highlander showed strong control authority. Though the flaps did all the work of slowing this slow-speed-capable design, the Highlander also permitted good slips to landing. The powerful controls allowed me to get the airplane positioned with a large sideways angle that used the fuselage to pull the airplane down toward the runway. However, after the landing where slipping was used, the door popped open on downwind as the latch didn't have quite enough friction. Peachey says this is an easy fix. In addition to qualifying the Highlander as a bushplane by using beefy gear and tires, Just Aircraft enhanced the upgraded model by installing a larger balanced elevator and rudder plus a larger trim tab. These changes help accommodate slow-speed handling when landing in smaller spaces that one might find when bush flying. As I flew Peachey's Highlander, my hand felt comfortable resting on my leg, though this meant I had to hold the joystick below the actual grip handle. The light touch needed to maneuver the airplane meant this hand position presented no hardship. In slow flight I was able to hold the Highlander at just above stall or about 43 to 44 mph with full flaps extended. During this exercise only 4,400 rpm was needed. The roll rate slowed considerably as would be expected, but response remained very acceptable. The airplane exhibited a very strong roll rate, though the rudder pedals were a little on the heavy side compared to the joystick. Sometimes such lack of perfect harmony can be fixed with linkage adjustments. Because of dissimilarity of control pressures between the rudder pedals and stick, my Dutch rolls were not as smooth as I'd have preferred. However, this situation is not uncommon for a responsive aircraft. In fact, I believe the Highlander is considerably better than what I found on early Kitfox models I flew. In those older airplanes, keeping the ball in the center while doing any turns, much less Dutch rolls, proved fairly challenging. High-Performance Highlander Powered by the 100-hp Rotax 912S engine - compared to the 80-hp Escapade I'd flown earlier - the Highlander seemed much more spirited even though it weighs a few pounds more (somewhat due to its heavier landing gear and tires). As noted earlier, takeoffs consumed very little runway and climb was strong at about 1,000 fpm (the turbulent day made accurate measurements very difficult). Aloft at 4,600 rpm we were seeing 85 to 87 mph. I liked flying around at 4,600 rpm, part of my search for low noise and vibration power settings. Peachey agreed this is a very efficient power setting that saves fuel. At a higher power setting of 5,400 rpm, we saw a shade over 100 mph and Peachey indicated his trimmed Highlander would cruise at about 105 mph at cross-country altitudes. 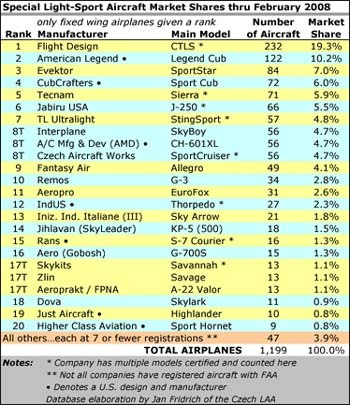 This matches Just Aircraft's published figures perfectly. Like the Avid and Kitfox predecessors, the Highlander's wing uses quite a bit of undercamber, which may account for its slower cruising speeds. But this same quality contributes to its good slow-speed characteristics and some say this helps the handling remain light and responsive. I saw stalls at 42 mph indicated while the factory states, "33-mph clean stall" and "27-mph stall with flaps." Unlike their dead-on cruise speed numbers, Just Aircraft's published stall speed figures appeared to have significant error. However, this could be because the installed ASI was off by a good margin (such is actually quite common), or because my technique was that different from a highly accomplished factory pilot. On the plus side, all stall characteristics were good. Accelerated stalls broke out level in each direction, though such turning stalls went the opposite way somewhat past level when performed in a right-hand turn. I didn't detect anything that seemed threatening in any of the stalls, and all stalls were recovered without adding power. The Highlander revealed the expected amount of adverse yaw for a responsive aircraft. This result was a little more emphasized to the left than the right, no doubt a function of propeller P-factor. The delay in coming around was a bit longer to the left. My evaluation of longitudinal stability also turned out well. After setting cruise power and assuring level trim, I lowered the nose and released. While the leveling response took somewhat longer than I expected, the Highlander did not bob back and forth through several oscillations as is common even in highly stable aircraft; it quickly came back to a stable attitude. When I raised the nose and released, the Highlander never lowered the nose much, but it did move back and forth, seeking its trim position. The difference between this and the previous longitudinal stability trial may be little more than my precision at trimming. As mentioned earlier in this article, the trim was quite responsive with a rather coarse amount of input precision. I may have not had the Highlander as precisely trimmed as I'd like. What'll It Be? The fuselage comes prewelded in powder-coated 4130 chromoly steel. The factory says completing the Highlander kit should take the average builder between 400 and 600 hours to finish. They say they often have kits currently ready for delivery. The Highlander kit sells for $21,500. Adding a 100-hp Rotax 912S engine, engine mount kit, prop, instruments, and finish painting and interior will bring the total closer to $40,000 plus the value of the builder's time. While still a good sum of money, it compares very favorably with Special-Light-Sport Aircraft selling for $55,000 to more than $100,000. One of the most popular features of the Kitfox-type designs is the quick-folding wings (even if buyers often don't use the capability). The Highlander continues this tradition and factory personnel say the wings can be folded in less than 2 minutes without disconnecting control linkages or surfaces. Even the Pitot/static air system disconnects easily and quickly. 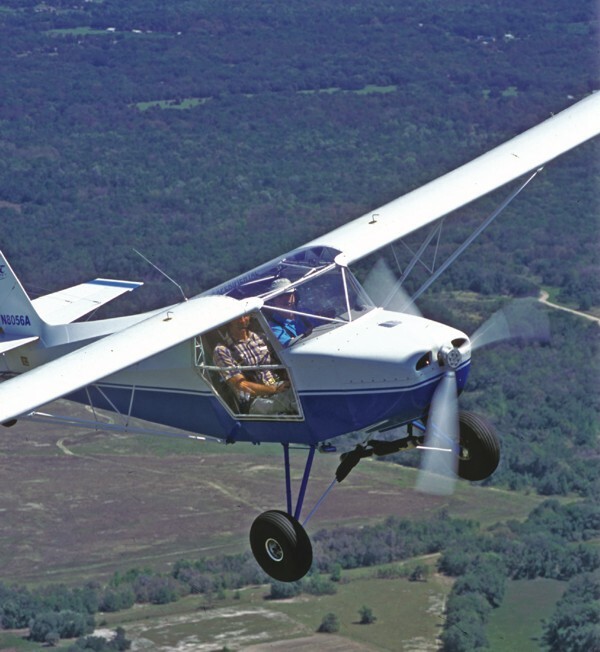 If a taildragger isn't your preference, both the Escapade and Highlander offer a choice between tailwheel or tricycle landing gear, and both are said to be "an easy swap." Said to be "pending Light-Sport Aircraft certification," a ready-to-fly Highlander may be priced at about $65,000 on wheels, or $75,000 on floats. 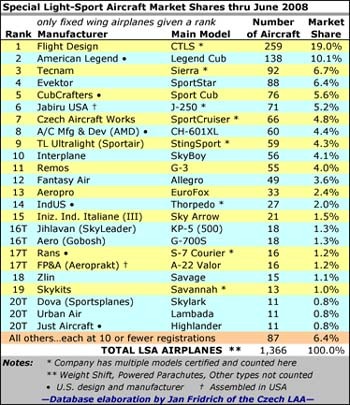 If the company achieves these price points, a Highlander Special-Light Sport Aircraft (SLSA) will represent quite a good value among other lightsport aircraft. As Just Aircraft works to achieve SLSA status, they have already done some of the work. A British partner, Reality Aircraft, has helped the company achieve portions of the demanding British B/CAR S certification. Just Aircraft has also won Canadian AULA certification. Each approval should help this American company join the LSA parade. Of course, a Just Aircraft kit, fitting the parameters of LSA as it does, can be flown with a Sport Pilot certificate. For many sport pilots, the Highlander makes an excellent flying choice in the bushplane theme. Its kit pricing puts the aircraft within the budget of a large number of pilots. Will one of them be you? Standard Features Two side-by-side seats, full enclosure with doors on both sides, doors and windows open separately, skylight, folding wings, push-button flaps, steerable tailwheel, 18-gallon fuel tank, 4-point pilot restraints, large tires, trim, heavy-duty bungee-suspension gear. Options Powder-coated fuselage weldment, quick-build wings, flaps and ailerons, hydraulic toe brakes, electric trim, tinted Lexan for windows and skylight, lighting kit, interior finish kits, spinner, nosewheel conversion kit. Construction Factory-welded steel fuselage, wood wing ribs, fiberglass cowling, instrument panel, wing tips, dope-and-fabric wing coverings. Made in the USA. Pros - Just Aircraft's Highlander is built bushplane-capable, a stouter version of their Escapade. Established American design shape with side-by-side seating useful for training. Well-proven configuration and construction with light, responsive handling and performance. Welded steel fuselage. Cons - Taildraggers aren't for everyone (if so, order the optional nosewheel kit). Just Aircraft has yet to make clear their LSA ambitions or plans (though their aircraft can be built as kits and flown with a Sport Pilot certificate). Pros - The Highlander comes well-equipped with electric starting, 3-notch button-detent flap handle, directional brakes, and dual center sticks. Trim lever located between seats alongside flap handle. Large instrument panel has plenty of room for radios or extra gauges. Cons - Trim control was too coarse for precise setting; a longer lever or more gradual linkage would be better. 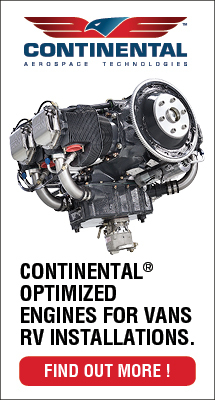 Four-stroke engine generates higher purchase cost, especially when paired with a 3-blade composite prop. Fueling is on top of wing, requiring a ladder or step. Pros - The Highlander offers a roomy cabin with outward bulging windows. Excellent upward visibility through skylight and clear turtle deck. Seats adjust fore and aft. Entry to either seat is easy. Well-finished interior. Large cargo area. Doors can open in flight; windows float upward and stay put. Cons - Clear doors and windows aren't sufficient for those who desire solid structure around them. Door latch popped open in the pattern after a hard slip to a touch-and-go landing. Interior is rather utilitarian. Cargo area lacks good tie-down provisions. Pros - Tailwheel steering was responsive even on sandy, turf runway. Powerful hydraulic brakes are mounted to both sets of rudder pedals. Wide wheel stance and stout bungee shock absorbers. Large ground clearance, fitting a bushplane. Excellent upward visibility to check traffic. Cons - Large tires add quite a bit of bounce that can aggravate poor touchdown technique. While taxiing, visibility over the nose is somewhat restricted as on most taildraggers. Taildragger pilots have to keep their feet moving on rudder pedals at near takeoff or landing speeds. Pros - Climb is as strong as expected with 100-hp Rotax 912S engine; solo ground roll is less than 150 feet. Excellent visibility around you at all times. Flaps were quite effective at controlling approach path steepness; slips are also effective. Authoritative aileron response. Slow-speed capabilities (thanks partly to vortex generators) are great. Cons - All taildraggers have some extra requirements on takeoffs and landings; pilots must stay active on rudder pedals without overdoing it. No other negatives. 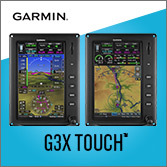 Pros - Better handling qualities for most pilots compared to pioneering Avid and Kitfox designs of this configuration. Light, reasonably fast, authoritative controls were very agreeable. Good control authority for coping with crosswinds or performing slips to landing. Cons - Aileron and rudder harmony was not perfect; rudder pedals were heavier than rather light aileron response. Trim control was too sensitive to assure a fine setting. Pilots not used to rudders will need to acquire new skills for taildragger operations. 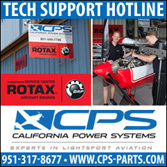 Pros - Fuel consumption plus noise and vibration are good with the Rotax 912 4-stroke engine common to light-sport aircraft. Wing design benefits slow-speed performance (resulting in quick takeoffs and short landings). Cruise is comfortably over 100 mph, even at medium throttle settings. 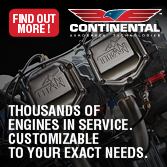 Cons - Climb is not quite as strong as expected with the 100-hp Rotax 912S. Pilots seeking the fastest cruising LSA will have to look elsewhere; the Highlander is instead optimized for bushplane operations (which it does very well). No other negatives. Pros - Stall speeds were reasonably slow (though not as low as factory specs; see article). Accelerated stalls rolled level in either direction. Longitudinal power response was positive, returning to level without oscillation. Four-point pilot restraints for both seats. Cons - Disturb the joystick fore or aft at trim and the Highlander returned to level somewhat slowly (though positively). Rudder pedals felt slightly heavier than ailerons (though once a pilot gets used to it or linkages are adjusted to harmonize, the problem should disappear). Pros - The Highlander is effectively a third-generation Just Aircraft model and it shows: performance and handling plus rugged bushplane looks without the higher price and complexity of many LSA. Folding wings may help storage at crowded airports with high hangar prices. Kit options keep the Highlander closer to many pilots' budgets. If you’re familiar with Avid Flyer or Kitfox aircraft, you know at least something about Just Aircraft’s Highlander. Its pedigree “path” is somewhat meandering but leads to an excellent flying machine born of a rich American airplane design heritage. Dean Wilson was the originator of this now-proven design shape. The first departure from Wilson’s Avid Aircraft company was Dan Denney, who went on to offer the Kitfox. Denney’s prowess as a marketer brought international fame to the Kitfox and, over the years, the sale of nearly 3,000 aircraft. At one time Denney Aerocraft was among the country’s largest suppliers of kit-built aircraft. What had been an ultralight design evolved into a successful 2-seat homebuilt, but that wasn’t the end of the evolution behind Wilson’s original creation. Denney sold his company to Phil Reid, who renamed the Idaho company SkyStar. A Well-Evolved History Another break-off from Avid Aircraft and Denney Aerocraft was Flying K Enterprises, which introduced the single-seat Sky Raider.